Soccer is a physically demanding game that requires a great level of physical fitness. Soccer requires you to walk, sprint and jog for a range of distance over a prolonged period of time. A high level of stamina is required to be a successful soccer player. Soccer players must have the ability to dribble, pass or get into open space when their team is in possession. Players must have the ability to quickly recover and track runs when possession is lost and their team is defending. Perform regular cardiovascular exercise to build stamina for soccer. The Sports Fitness Advisor website cited research performed by Umbro Conditioning in 1997. The research studied professional players and stated over a 90 minute soccer game, the average player spent 40 to 59 minutes jogging or running. Bearing this in mind, it is wise for you to simulate these distances in your stamina training. Youth soccer games run typically for 70 minutes with variations according to age. You should aim for 30 to 50 minutes of cardiovascular exercise to simulate a soccer game. If you find that challenging, you could split into two separate runs. Vary your cardiovascular routine by incorporating cycling or swimming if it becomes repetitive. 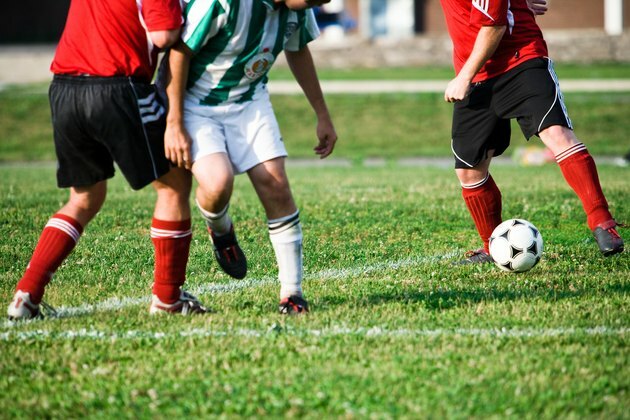 Include sprinting in your training to build stamina for playing soccer. The research by Umbro Conditioning states that 10 percent to 15 percent of a soccer game is spent sprinting. 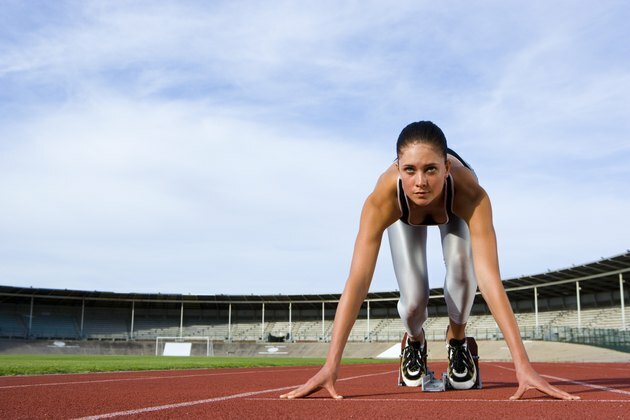 To build stamina for soccer you must adjust your body to sprinting and recovering quickly to jog or sprint again. The Sports Fitness Advisor website recommends a series of 15 to 20 yards of sprinting with recovery time in between. An example of sprint training would be to perform 10 sets of 20-yard sprints with a 30 second break between. This would build stamina and increase your recovery rate after a sprint. Incorporate circuit training onto your physical fitness training. Circuit training increases stamina and also builds muscle strength with the use of resistance exercises using your own body weight. 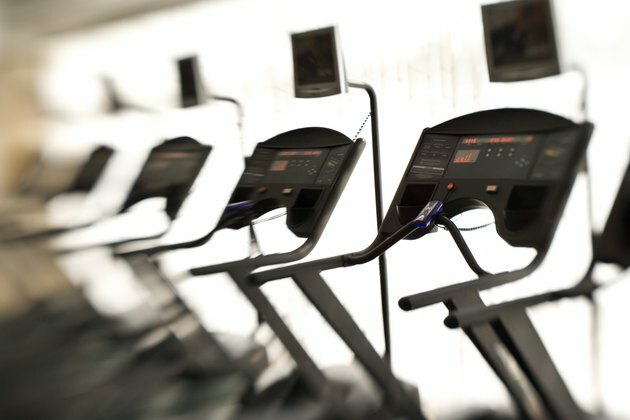 For the game of soccer, Sports Fitness Advisor recommends stations that require you to exercise for 30 to 60 seconds between rest periods. Exercises included in circuit training can be push-ups, sit-ups and squat jumps. Consume a healthy and balanced diet. Your stamina and physical fitness levels will be directly impacted by the fuel you put into your body. Foods low in fat and high in carbohydrates make up the core of a good diet for a soccer player. A healthy diet will significantly impact your ability to build stamina, and you should avoid soda and sugary snacks. 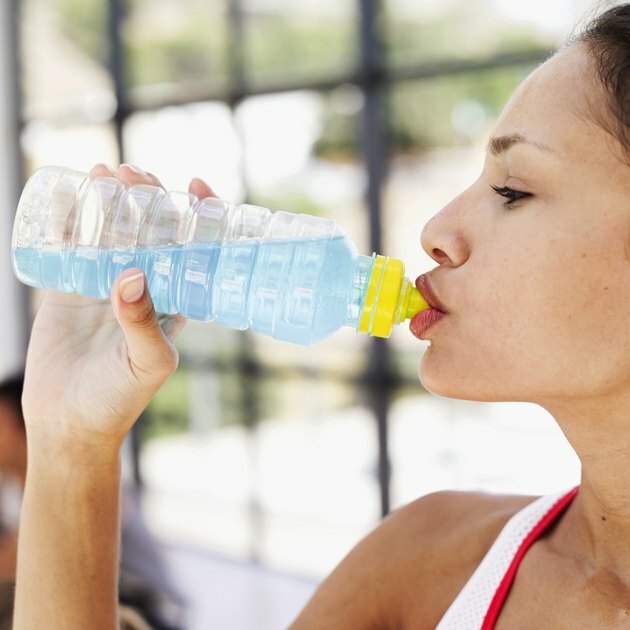 You should also stay fully hydrated at all times with water or sports drink. Conduct a regular stretching and flexibility routine. It is crucial that you stretch thoroughly before and after your training to build stamina. Proper stretching will keep you healthy. Muscle stretches and pulls can result from not stretching properly. An injury will halt your training routine and hinder your ability to build stamina.